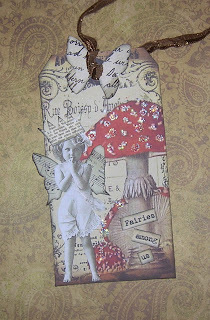 Spring...the time of new birth...that does include fairies you know! 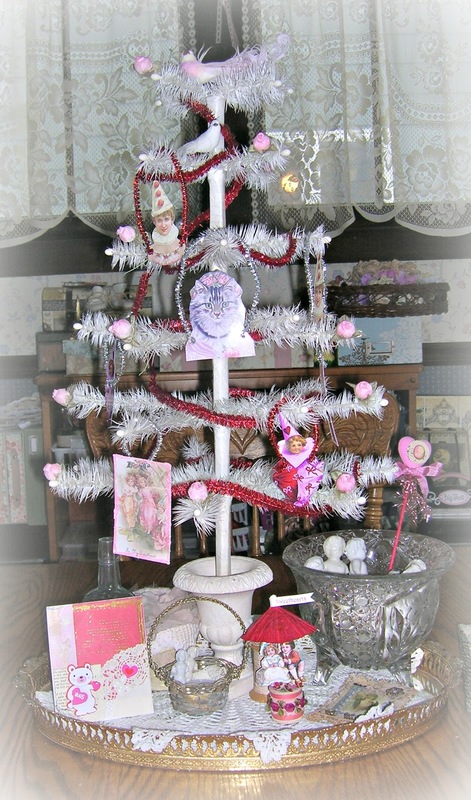 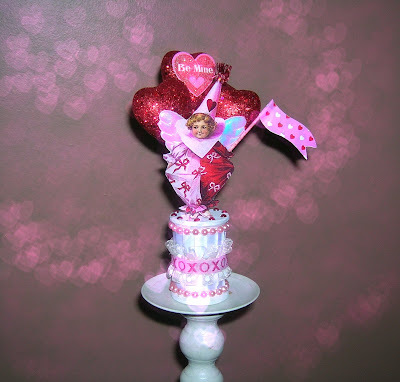 I don't do a lot of decorating for Valentine's Day but it's always fun and inexpensive to do a feather tree makeover. 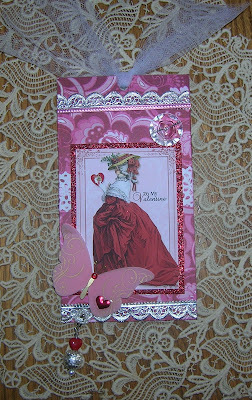 I printed some Valentine images, punched holes and gave them tinsel hangers for quick & cute ornaments. Some I edged with pink glitter. 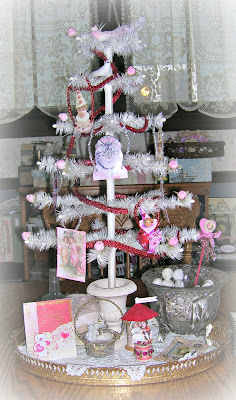 The garland is a $1 spool of tinsel trim from the Dollar General and I wrapped some pink rosebuds from my stash on the branch tips. 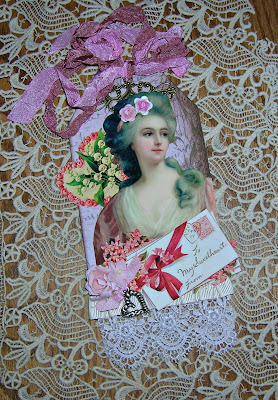 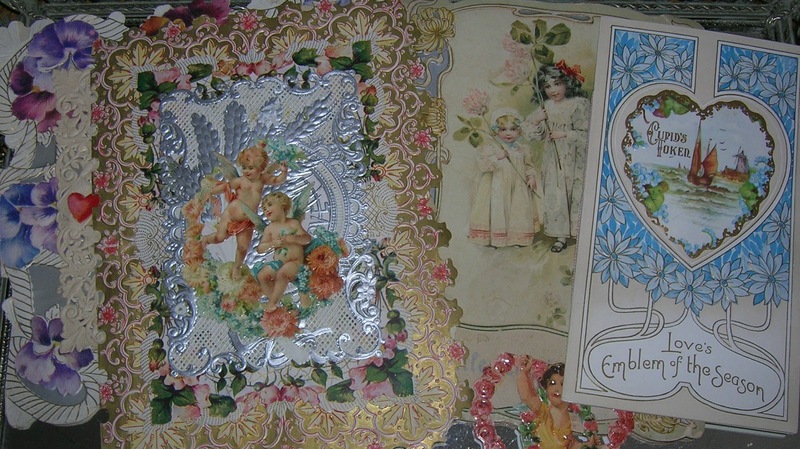 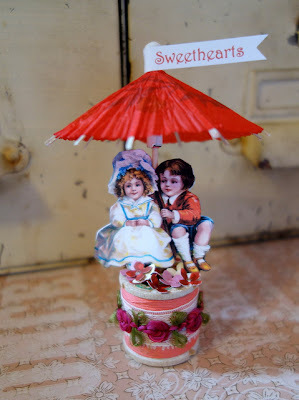 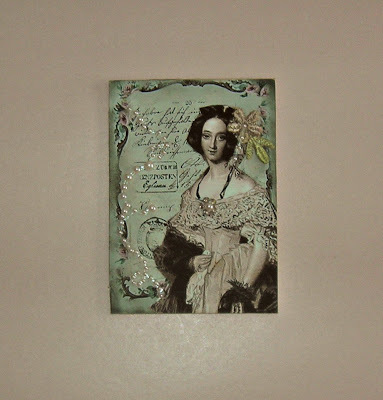 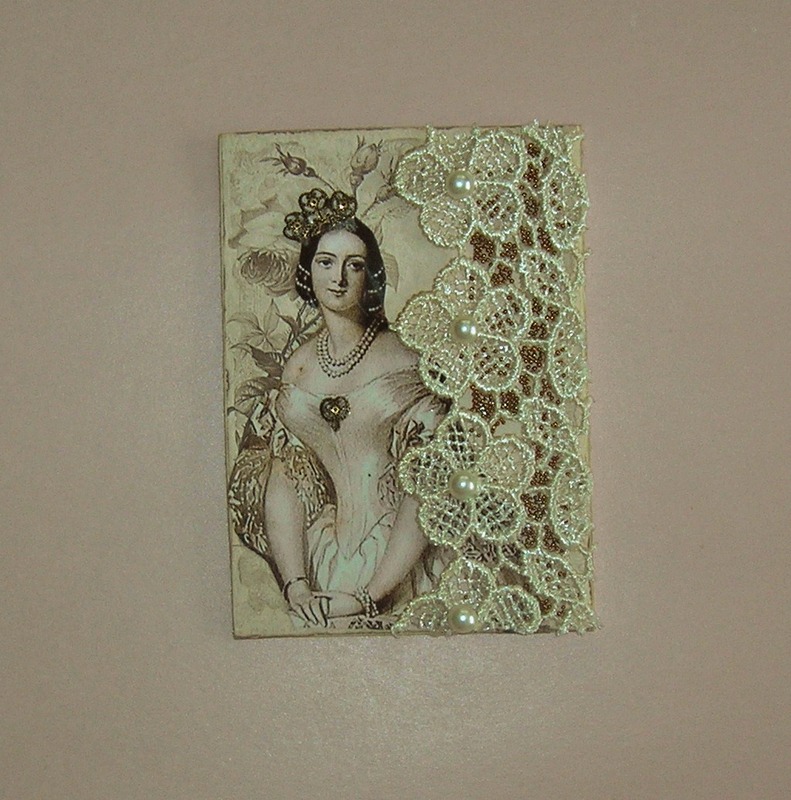 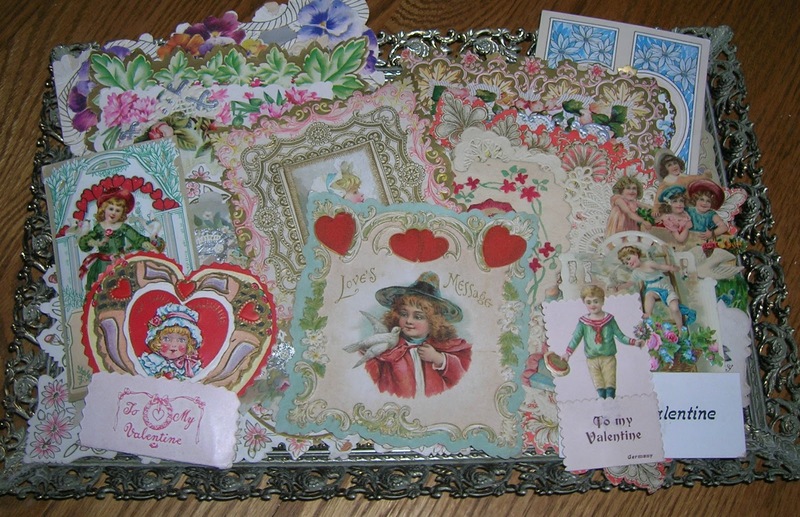 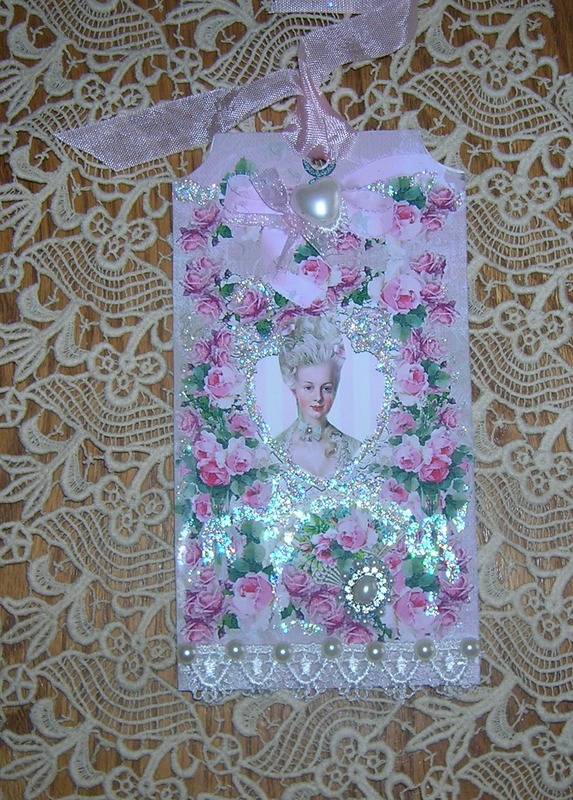 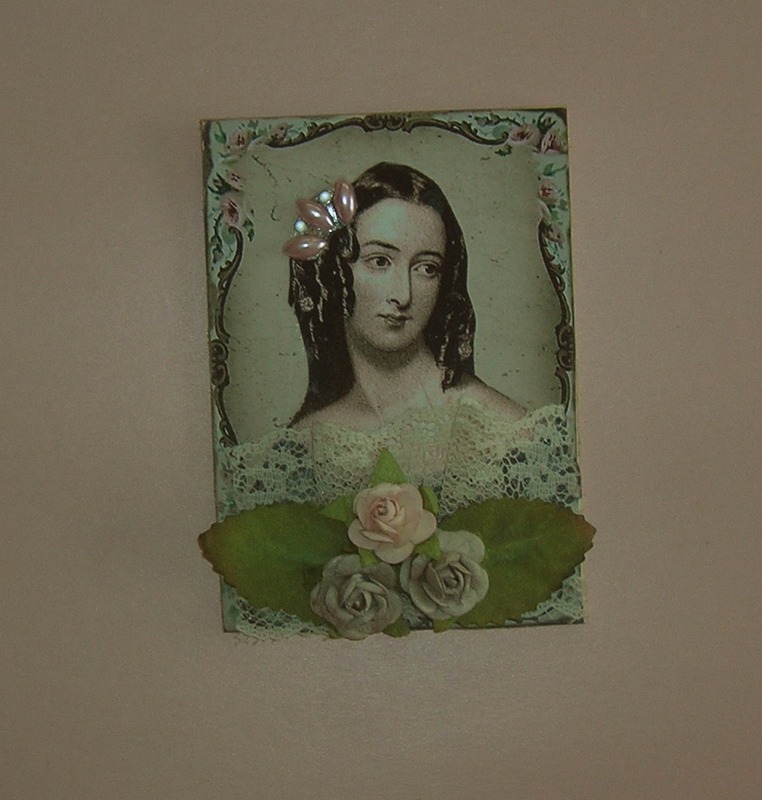 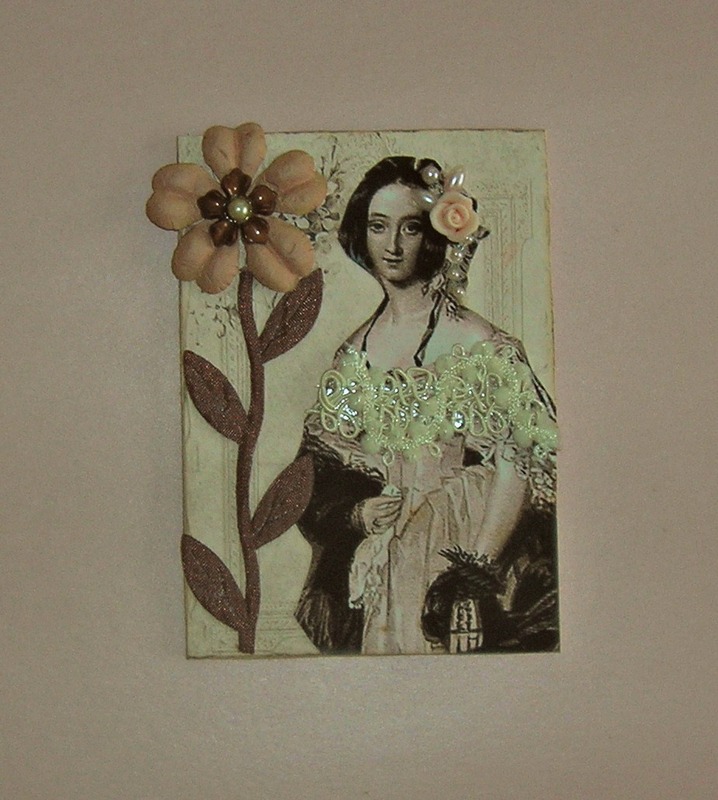 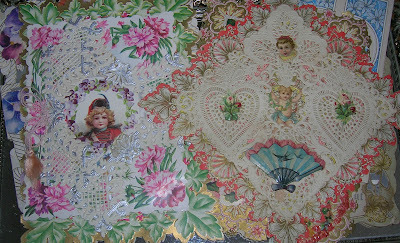 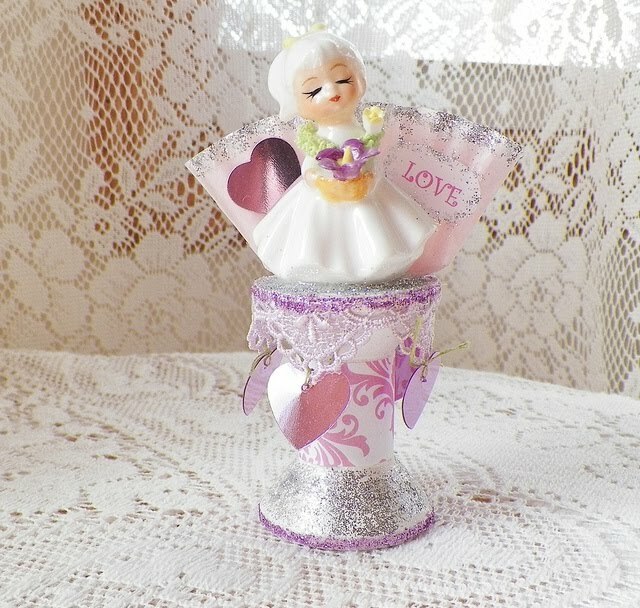 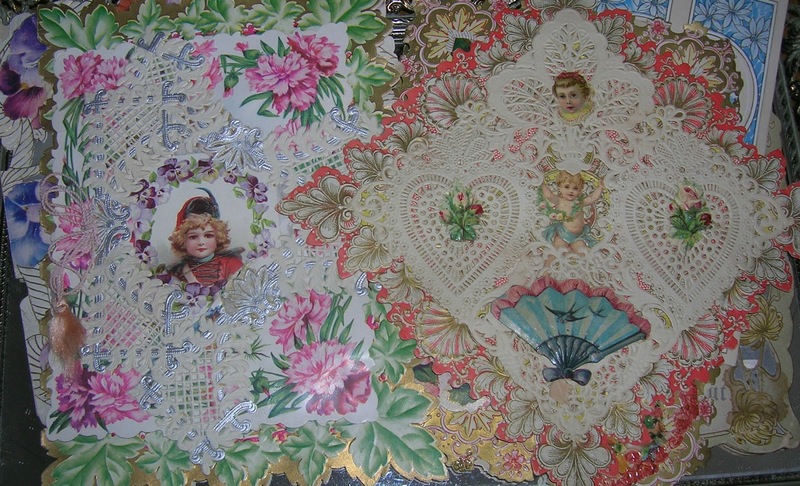 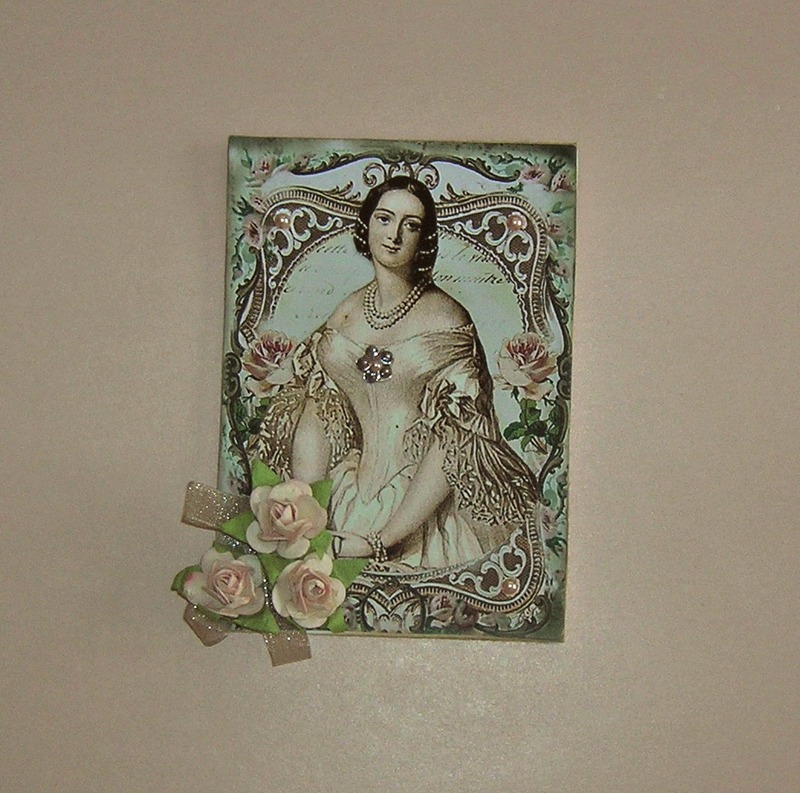 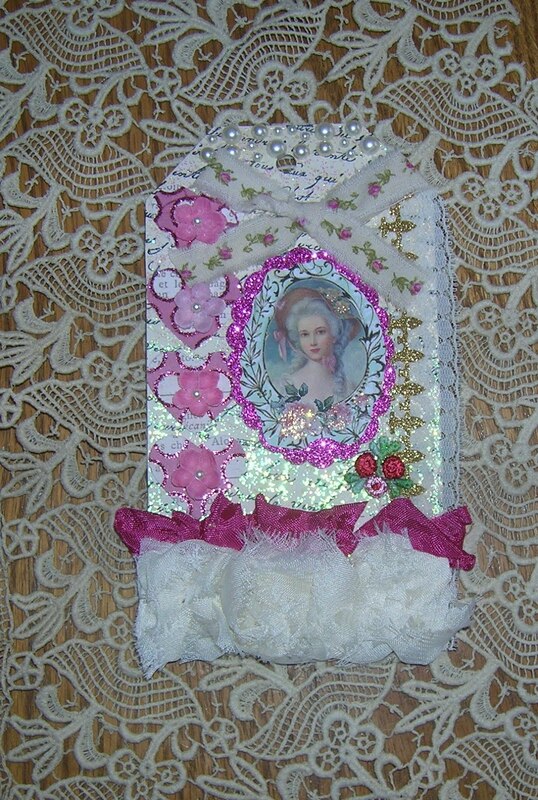 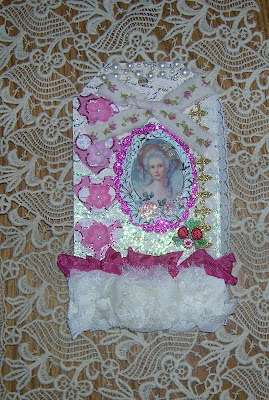 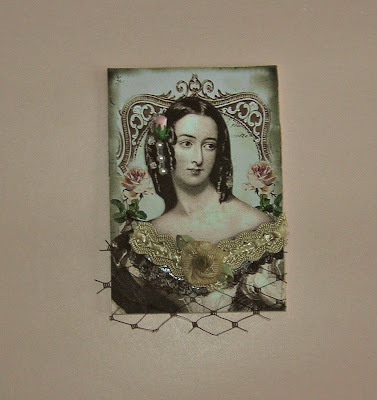 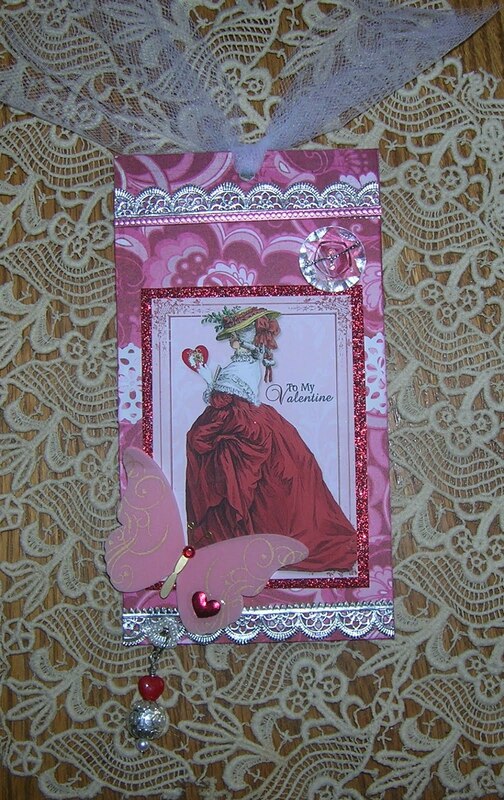 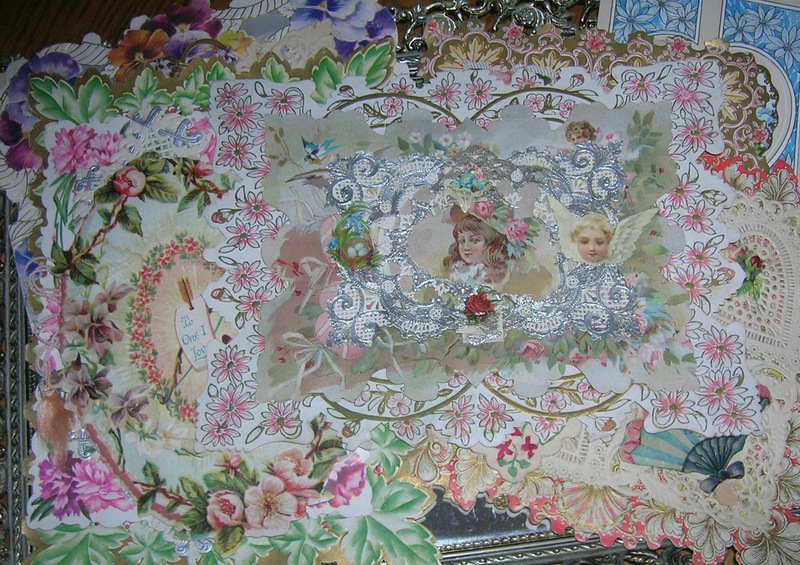 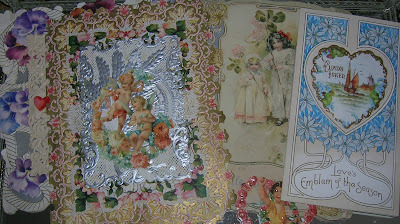 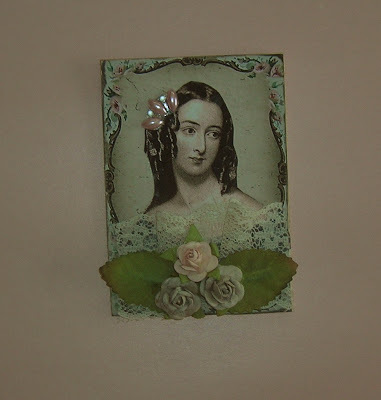 I enjoy pulling out my antique valentine collection and admiring them as if it were the first time seeing them. 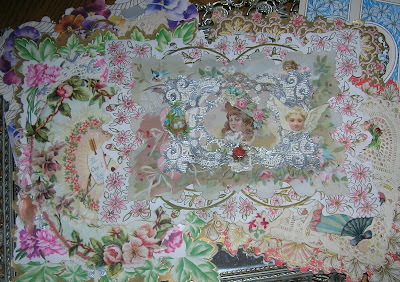 Packed away for a year, it's easy to forget how truly beautiful and intricate they are. 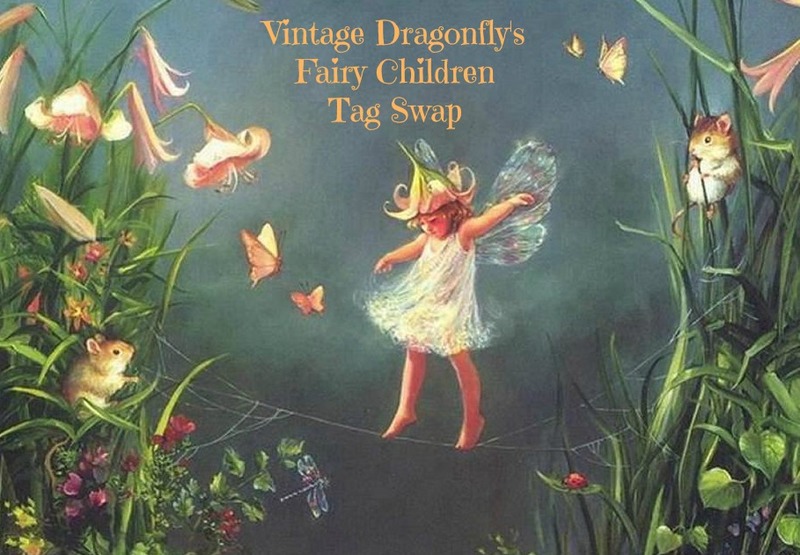 I display them on vintage mirror trays (love those things, always picking them up at garage sales!). 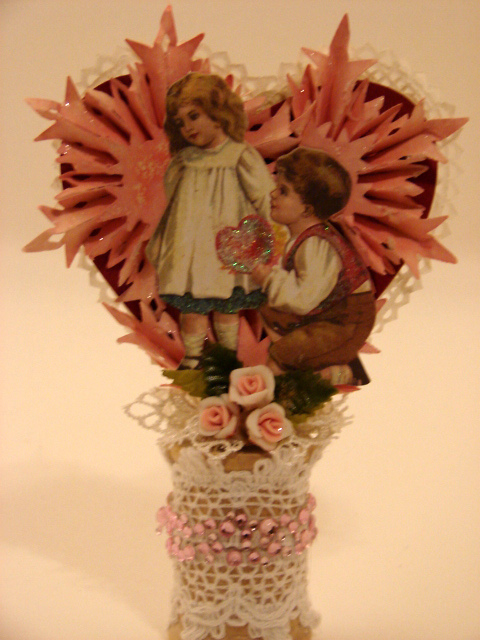 this one honoring Valentine's Day.